Today, America Recognizes and Celebrates the Life of President George H.W. Bush, our 41 President. The biggest culprits in yesterday’s selloff had nothing to do with fundamentals, which is important to consider as these wild gyrations are likely to continue for some time. I should note that the numbers are bigger because market indices are near all-time high levels, so for instance, 100-point swings in the Dow Jones Industrial Average don’t send the same message they used to send. There are several factors behind yesterday’s trading action that must be reviewed. Trade Confusion: Trump Tweets and naysayers in financial media. Federal Reserve: John Williams suggests there is a lot more room to go with rate hikes. Slowing Economy: Inverted yield curve and its history of foreshadowing recessions is worrisome, coupled with other signs of weakness in the economy, especially housing. Financials & Banks: Banks are getting waxed even though they were supposed to rock in 2018. Some connect the dots to pressure in corporate bonds, both investment grade and high yield. 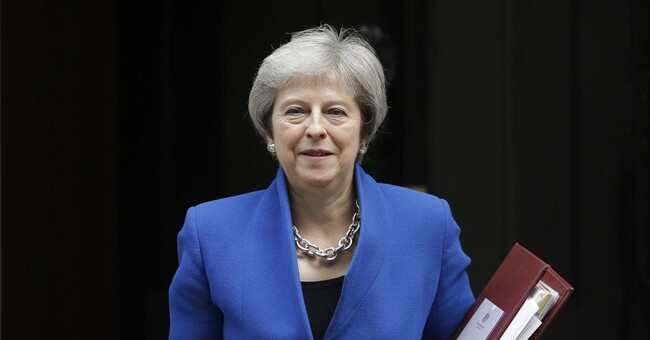 Brexit: The UK Parliament found Theresa May’s government in contempt, putting her Brexit deal in jeopardy. A piece in Zero Hedge, points out a massive sell program, with notional value of close to $33.00 billion, kicked in right as the S&P 500 was crossing beneath its 200-day moving average. The chart below reflects the fact the bottom fell out with selling across the board. There is no doubt programs and algorithms have taken an increasingly larger role in day-to-day market action. They create panic-like conditions on the upside and downside, often exacerbating reactions to news and speculation. Moreover, they can be manipulated, which is why long-term investors must understand underlying facts and fundamentals before following the machines down rabbit holes. Financials continue to confound, since big banks are supposed to benefit from higher rates and market volatility, while smaller regional banks were supposed to rise with the fortunes of Middle America. Neither is happening. Yesterday, there was concern out of the Goldman Sachs conference, of peak consumer credit, to go along with all the other potential “peaks”, from business revenue growth, margin expansion and earnings. With the market closed its hard to get a read on things, but there has been very positive comments coming out of China that dovetail with the Trump administration. They acknowledged the 90-days and said they are ready to buy LNG and soybeans again. Soybeans are breaking out through big resistance point @ $9.05, keep an eye on trading in them today.